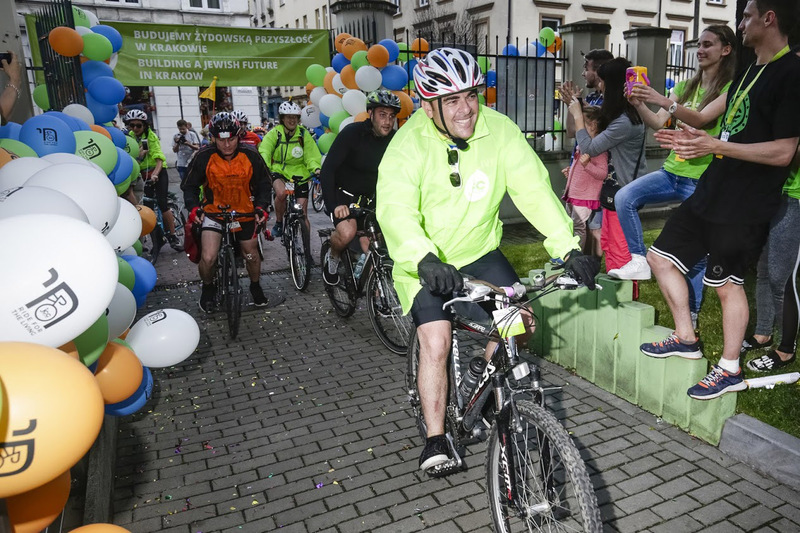 Wearing a kippah under his bicycle helmet and a tallit beneath his jersey, Rabbi Michael Schudrich was sore and hungry after an “intense but wonderful” 55-mile bike ride from the site of the former Auschwitz-Birkenau concentration camp to the JCC in Krakow. 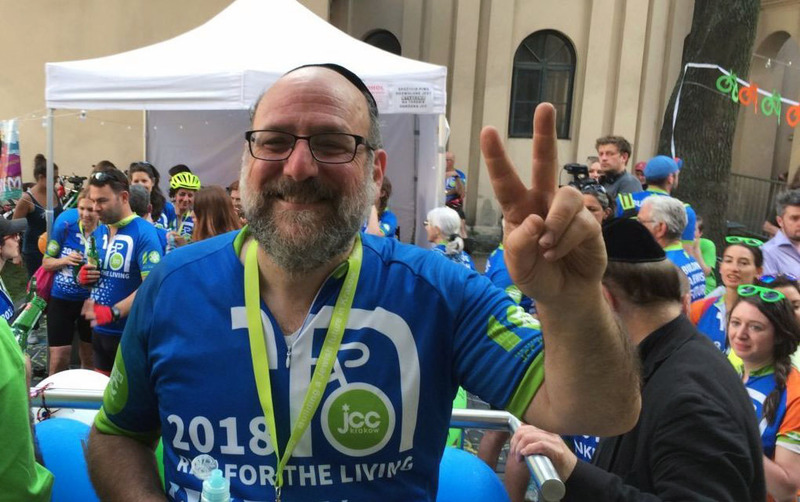 Schudrich, 63, said the tzitzit on his tallit were flying everywhere as he completed about 85 percent of the Ride for the Living — “which is like 20 times longer than I’ve ever ridden on a bicycle” — and pulled in with a couple of hundred other riders to the JCC. The Ride for the Living (a play on the March of the Living) is in its fifth year as part of the 10-day Jewish Culture Festival that for the last three decades has been taking over the streets of Krakow’s old Jewish district, Kazimierz. It’s a fundraiser for the JCC, as well as a way to celebrate the renewal of Jewish life in Poland. Schudrich said the ride from the former death camp to the heart of modern Krakow epitomizes the Jewish sense of rebuilding the world. It brings together young and old, Jew and non-Jew, he added, and gives another outlet to those visiting the festival. 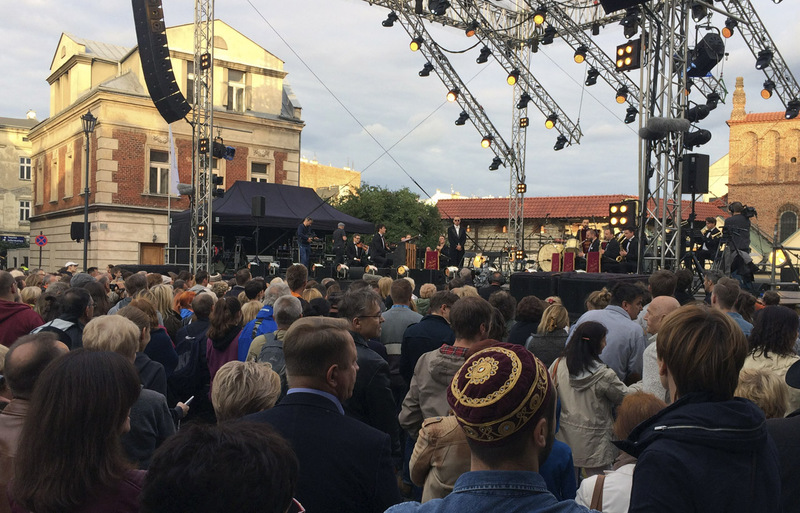 Ride for the Living is the centerpiece of a four-day event in which participants visit Auschwitz and also attend many of the concerts and other social gatherings of the festival. It was inspired by Robert Desmond, a Krakow JCC member who bicycled from London to Auschwitz. LeMond, an American who in 1986 became the first non-European professional cyclist to win the Tour de France and then triumphed in the world’s most important bike race again in 1989 and 1990, was riding three days after his 57th birthday. Jonathan Ornstein, executive director of the JCC, said LeMond heard about the race from a friend and decided to join it. 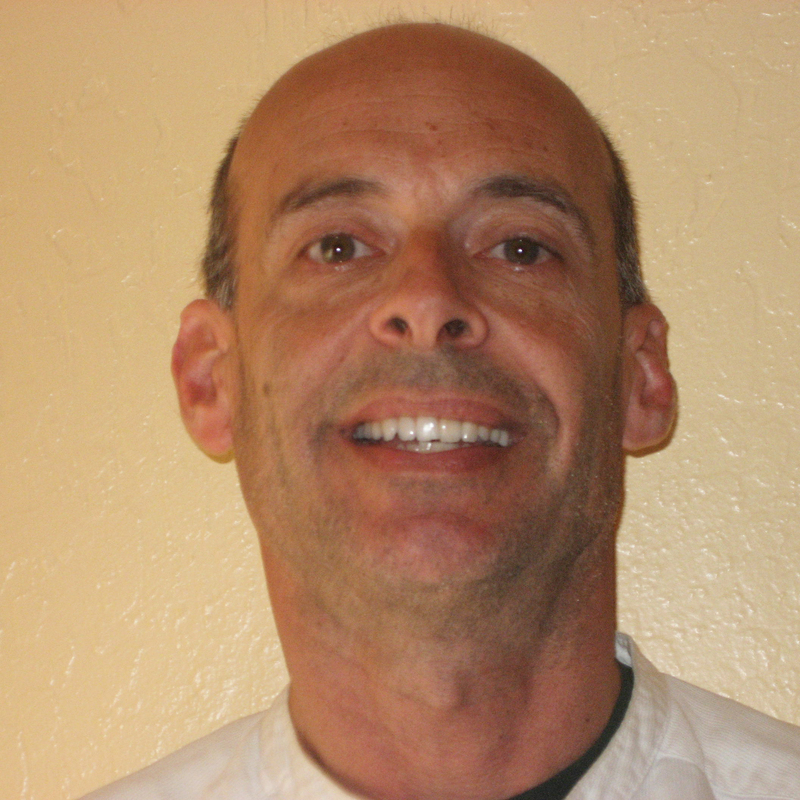 Ornstein was one of this year’s 220 riders, a record number of participants, about 60 more than last year. The Ride for the Living had 15 riders sign up when it started five years ago, Ornstein said.